On Thursday, March 28th at about 8:00 p.m., officers of the Liberal Police Department responded to a residence in the 1000 block of N. Holly for a welfare check of a child at that residence. While there, the initial officer observed signs of narcotics use. A search warrant was applied for and granted. During the search of the residence, about 741 grams of suspected marijuana and marijuana oil, about 20 grams of psylocibin mushrooms, a small amount of methamphetamine, drug paraphernalia, and a handgun were found. 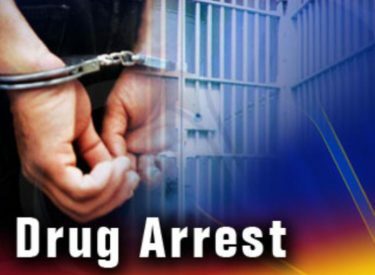 As a result of the search warrant, a 42 year old male was arrested for possession with the intent to sell marijuana, possession of methamphetamine, possession of drug paraphernalia, aggravated endangering a child, no drug tax stamp, and criminal possession of a firearm. An affidavit was forwarded to the Seward County Attorney’s Office seeking formal charges. No bond has been set at this time.